The National Federation Party (NFP) has proposed that the 10 Communication Principles from the New Zealand “Harmful Digital Communications Act 2015” be adopted in the Online Safety Bill. 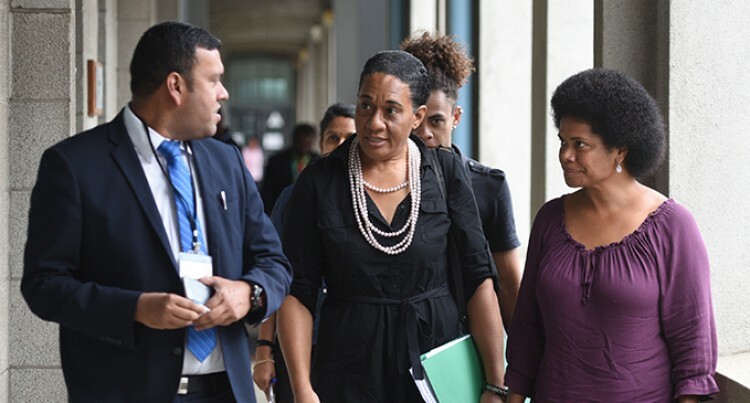 The suggestion was made by NFP vice-president Seni Nabou yesterday while making oral submissions to the Standing Committee on Justice, Law and Human Rights on behalf of the party. She said the principles would strengthen what “responsible online behaviour” means in the Bill adding that unless it is defined, it becomes subjective. Ms Nabou said NFP had great difficulty in accepting the Bill in its current form as the intention of what the law was intended to achieve, was very “unclear and murky’’. “As Fiji heads to the polls this year, it is absolutely justified for any political party to be anxious that the chilling of free speech online is at risk,” she said. “Of course, the fine line of “balance” is a grey area but in this Bill, we could come to the point where the grey area is determined by the State”. Party leader Professor Biman Prasad had said that a law of such nature needed six months of public consultation because of the possible far-reaching implications. Ms Nabou said the law did not expand or define the meaning to promote “responsible online behaviour” and what “responsible” meant in an online setting. The purpose of the law really is a wide, open door and that is an open invitation to frivolous, vexatious claims,” she said. She questioned whether any appropriation to be directed towards Fiji’s proposed Online Safety Commission, would be a good use of public funds. She submitted that while the Bill what she called purported to protect minors there would be situations where minors could commit online offences and in that situation it was incumbent on the committee to consider why extensive and thorough public consultations was needed.